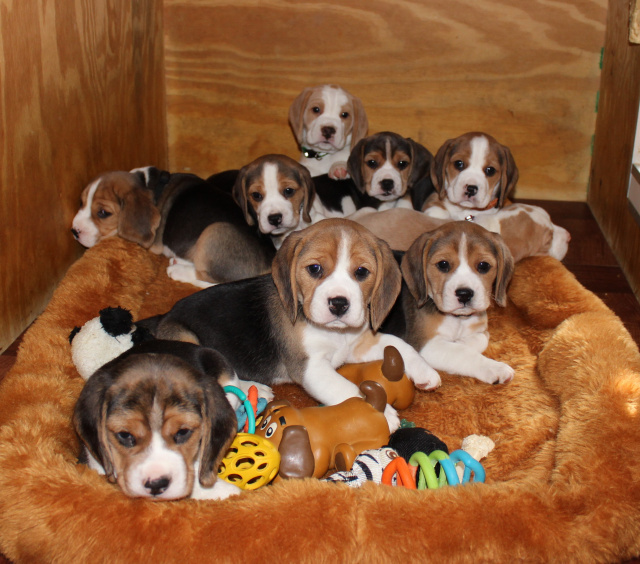 Thank you for your interest in our beagle puppies. In order to be considered for one of our precious puppies a puppy application must be filled out first. If it meets the criteria we're looking for we will respond with an email inviting you to come to to see our facility, meet me and our beautiful beagle family, then followed by an interview. Do you plan on crate training your puppy? List all currently owned pets and ages. Do you have any children? If so list ages. Are any members of your family allergic to dogs? Do you plan on taking your puppy to Puppy School, or Puppy Kindergarten, Or Obedience School? Why have your chosen the beagle? Is there any other information or something you would like to add that I might find to be helpful in processing your application? Puppy only An adult beagle I would consider either a puppy or adult beagle.